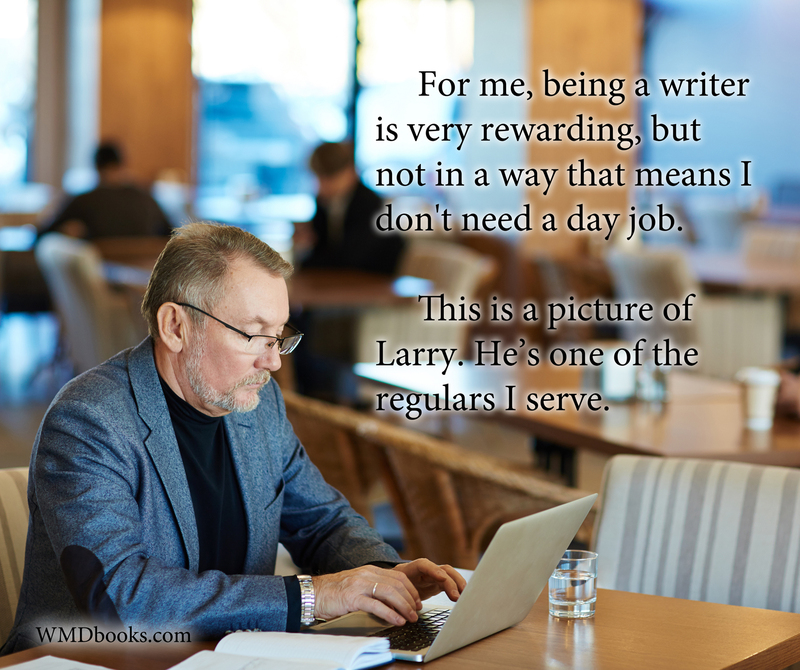 For me, being a writer is very rewarding, but not in a way that means I don't need a day job. 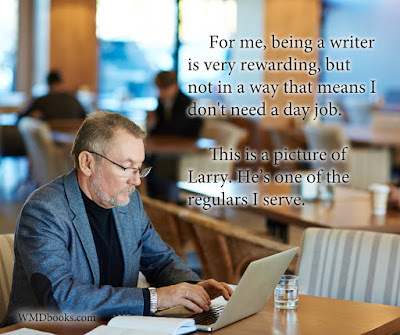 I've been lucky in that my day jobs have always come to me very easily, been exceptionally lucrative and allowed me the time I need to write. I never worried about my job—that is, until I no longer had one. One day, about five years ago, I was in my car, listening to the radio. The host was interviewing a man who had a Masters in Software Engineering, had been in the business about thirty years and risen within the corporate structure to manage large projects and oversee a team of experts. He was well-spoken, seemed very grounded, and simply oozed competence. He reminded me of myself, except for the master's degree, high level of corporate achievement and the oozing. For most of his career, he had been working on a massive project for a very large firm. After successfully guiding the decades-long project through its final stages, he was told there was no other slot within the corporation for him. For the first time in his professional life, he found himself unemployed, at the age of 55. I listened attentively because, at that time, I was 55 and seriously considering leaving my job of 15 years. That parallel seemed particularly relevant. At first, the software engineer was not worried about his job-hunting prospects. He had done well for himself, and no longer needed the high wage or wanted the high-pressure of being a Project Manager, and was justifiably confident that he would be seen as valuable in a lower-ranked position. Two years later, he was still unemployed. Looking back, he realized that, from a job-seeking point of view, he had made a few mistakes during his career. He had failed to keep track of all of his smaller achievements in bringing the main project to fruition. And so that one, large-scale project and one employer ended up being just about the only thing on his resume. He'd also failed to get a written endorsement from people he had worked with who had found him valuable. So he had very few references. And, he'd focused so intently on his own project, that he'd lost contact with everyone else in his profession. But, he couldn't shake the feeling that the largest factor was his age. Regardless of his experience and the wisdom that came with it, he no longer fit. 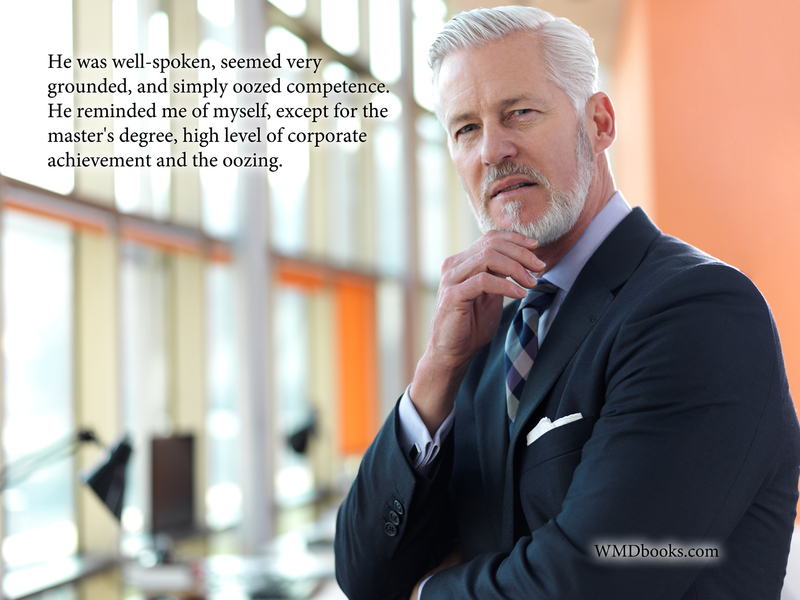 Some prospective employers viewed him as too old to be of use; others as overqualified and, potentially, a threat to their own position within the corporate hierarchy. Beyond that, he was not a blindly enthusiastic young graduate. His mature perspective precluded an unswerving dedication to any single capitalistic cause. And, with a family and a full life waiting for him at home, he was no longer the type to stay late to meet an unreasonable deadline. Another separator was the fact that, though he wanted to work, he did not need the money. His perspective and all of his motivations were different than the rest of the workforce. He had always felt himself to be a valuable asset, a very handy guy to have around, and was stunned to find himself unable to obtain work in his chosen field, at any level. To this day, I wonder what became of that man, and listen carefully to Walmart greeters and fast food clerks, thinking I might one day recognize his voice. Well, that interview scared me a little. I, too, was 55 and might soon be unemployed. I, too, had always been seen as a valuable asset in every project I'd ever been involved with. And I, too, had remained within a single organization for too many years, never kept track of all my successes, never got endorsements from people who I'd worked with, and allowed my old contacts to fade away. Like the software engineer, I had done well enough for myself that I didn't really need a lot of money. And, like the software engineer, I had never had to look for work before. 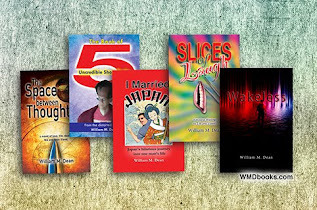 When I was younger and more connected, I had always had offers of new and interesting work waiting for me when a project ended. Those days were gone. Initially, I wanted to return to my roots and find some magazine-related work. But that dream was dashed within the first week. Based on my resume, four of the most successful local publishers were gracious enough to talk with me. The publishing world had certainly changed since I was last involved. Twenty-five years ago, the magazine business was similar to the modern movie industry; under pressure from competitive forms of entertainment, but still a big draw. But then the Internet evolved, robbing the magazine world of all but a thin wedge of the pie. There was little fat on the bone and only the fiscally-savviest magazines survived. The essential question from each publisher boiled down to, "How will hiring you bring me more money?" Truth was, it wouldn't. I was no longer a good fit for any highly competitive business environment. Though I am an experienced layout artist and skilled writer, I'm just not hungry enough to compete with a newcomer armed with fresh enthusiasm. I could possibly have fit in a management position but was unwilling to commit to such responsibility. I spent the next month rebuilding my resume, searching and applying for a wide variety of jobs online and in person. Out of forty applications, I managed to get 2 interviews... and one only because I followed up by walking in unannounced and luck was with me that day—the boss just happened to be standing right there and, for whatever reasons, had the time and inclination to talk with me. The position was to manage a small but busy office, just about exactly what I had in mind. That interview went well, but the entire time I got the vibe that he just didn't want an old man at the front desk, regardless of how smoothly I might manage the office. As an able, straight, white male, it was my first personal experience with any form of discrimination. Applying for jobs was different from the Jurassic period during which I had last sought work. It was obvious to me that most employers posted their jobs online, insisting resumes be delivered via email or submitted through sophisticated, custom databases. This approach adds a lot of fuel to an already hot job market as it encourages applications from around the entire world. As a result, employers are bombarded with qualified applicants. Like a government answering machine phone tree, an online application is designed to keep the hordes at arm's length until they can be whittled down to a civil and manageable gathering. Several times, I followed up an online application by walking in the front door, tailored resume and cover letter in hand, but I never got past the receptionist. With larger organizations, even applying for low-level filing clerk positions requires you to open an account, sign in, create a personal profile, reconfigure your resume to fit the categories of the company database and, as often as not, take a series of skill-assessing tests. When it comes to computers, I'm unusually adept, but even for me, it was a time-consuming, frustrating, and often confusing process. I once spent more than two hours applying for a position, only to then be served an automated message telling me that my resume, test results and application were invalid because I had already spent two hours applying to that position which had been posted under a different title, on a different database. Adding to my frustration was the gut feeling that all of these jobs would end up going to people with inside connections. I have since learned this to be truer than not. Filling out online applications made me realize that the entire job-seeking vocabulary had also evolved. I noticed that the language was wordy and laced with hyperbole, and there was an expectation for certification for many tasks which I considered minor, like sorting mail or sending and receiving emails. I had done all those things, but the existence of certification for such things had never occurred to me. The unsupported claims on my resume would be pitted against certification on a competitor's resume. The discrepancy between my short, straight-shooting resume and the expectations of the application process was blatant. This, alone, should have made me realize that I am not cut out for any kind of government work. Sadly, I persevered. 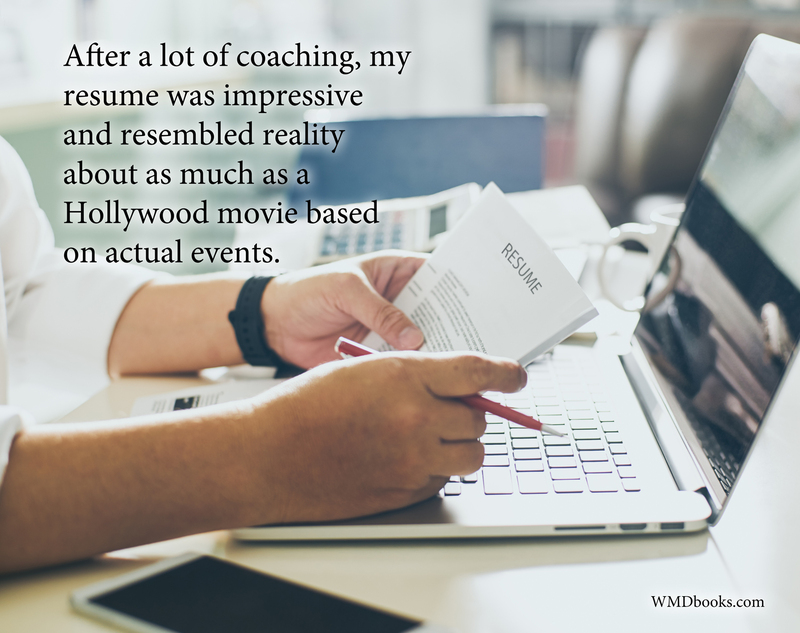 Judy, one of my oldest and most intelligent friends has built a strong business for herself developing powerful resumes, and coaching professionals as they transition from one career to another. (Website: http://www.resumecoach.ca/) I gave Judy a call and she graciously agreed to help me supercharge my resume. Over the course of a few weeks, we spent many hours dredging from my memory every significant event that might demonstrate an acquired skill, then translating it into what I sardonically referred to as "Govie-speak." My resume expanded from one and a half pages to seven. Eventually, I ended up with nine hefty modules that I could swap and adjust to tailor a resume toward anything from communications to janitorial work, management to choral singing—whatever the situation required. I had become a career chameleon. • Lamalexors are speedy, but inaccurate, and can enter ten pages of data per hour. • Lamalemors are slow, but accurate, and can enter 5 pages of data per hour. • Loralamas are very dedicated, but only moderately accurate, and can enter 3 pages of data an hour. If your team consists of 5 Lumalexors, 3 Lamalemors, and one Loralama, what organizational arrangement would be best to most efficiently expedite the task at hand? Very Blade Runner-esque: "You're in a desert, walking along in the sand when all of a sudden you look down and see a tortoise. It's crawling toward you..."
Most of the questions involved juggling five or six loosely related variables and could be figured out with the help of a piece of scrap paper, but none were easy or obvious and many contained logical flaws, or at least prompted you toward logically flawed assumptions. At best, such a test might reveal people who are either dumb or desperate enough to waste time with vapid word-puzzles but would most certainly serve as a deterrent to anyone of value. And, in no way would it help qualify a candidate for a clerking position. I came away from it shaking and soaked in sweat. Classic PTSD or, possibly, an inoperable brain tumour, according to WebMD. Finally, I realized that I would never fit in with any organization that valued such tests and that this had been a completely misguided waste of two months. Judy's advice was not flawed. She is very good at what she does. The resume we'd created was a precision-tooled, high-powered implement aimed at a specific target. Problem was, I had identified the wrong target. I had forgotten that I am results-oriented and prone to speaking my mind. I have no aversion to authority but am also not averse to questioning it. I wouldn't last a week in a government organization. I changed tactics and targeted local businesses that interested me, regardless of whether they were advertising an opening or not. I did manage to get sit-downs with more people, this way. At first, I thought my new, seven-page resume might help me through the door of smaller organizations, but I quickly discovered that the pomposity and wordiness of the document were embarrassing to defend in an interview with someone in the "real" world. Managers in money making organizations don't have the time or patience to wade through seven verbose pages. Nor can they afford to hire based on vague and hyperbolic claims of competence. After a couple of tries, I completely stopped using it. The world hadn't changed that much. I signed up for a session of councilling. During the session, the young counsellor asked me for a copy of my resume. I gave her the two-page version. She looked it over and seemed impressed, said it was "nice." But as I was digging around in my briefcase for the accompanying sheet of references, she noticed the other resume and asked to see it. "Whoa!" she exclaimed. I was about to make a joke of it when she squealed, "This is very impressive!" "It's seven pages long, littered with exaggerations and redundancies. It's about as close to reality as a movie based on actual events starring Jean Claude Van Damne. Who in the world would waste valuable time reading it?" Or watching a movie with Jean Claude Van Damne, for that matter, I thought, but did not say. She held up an index finger, putting me on pause, and I waited ten minutes while she finished reading it. "It's exactly what HR people are looking for," she declared. That was my last counselling session. My difficulty in obtaining employment certainly had something to do with external factors. The work world was filled with bias, and I was fishing without a network. But, I too, had changed and now harboured internal barriers to employment. Most significantly, I had no idea what I wanted to do. This lack of focus led to a lot of wasted effort pursuing jobs I was never going to take. It also prevented me from narrowing my wage expectations, which made me shy of commitment. Throughout the previous months, I had been torn between interesting but stressful, high-paying jobs and the exact opposite: mundane, low-paying jobs. At the end of one interview, I was offered the job I had applied for and then I suddenly stalled. The interviewer asked me why I was reluctant to accept and I admitted that I wasn't sure. I apologized for wasting her time and told her that perhaps I might just go and do some construction work while I try to figure this out. I wasn't joking. Locally, construction was booming and there was an extreme shortage of skilled and reliable workers, to the point where even pushing a broom could pay $20/hr! This was less than half my previous wage, but almost double the wage of most low-end jobs. I was handy, had built two houses for myself, and fitter than most. It wasn't what I wanted, but it was a great stop-gap measure. That day, I logged on to Used.ca and called the first individual who wanted some help with what he thought was a small building project. It was not a small project. I spent the next year helping renovate his house; top to bottom. That act of exasperation turned out to be a wonderful experience during which I honed and expanded my practical building skills, made lots of money, kept in shape and softened the crease in my brow. I also had plenty of time to solidify my goals—though I didn't actually do that. When that project ended, I joined a GT Hiring Solutions workshop for "mature" job-seekers (50-65) and made some interesting discoveries by observing eleven other people who were in the same position as myself. Upon first looking the group over, I was impressed. We were all very presentable. Every one of us there looked younger than I'd expected. Many of us still a lot of the original colour in our hair. As a group, we were fitter than average—no one was feeble or doddering—and we each had an obvious bright spark of energy. But as we got deeper into discussing our job hunting goals, strategies and experiences, I noticed that many of our group—myself included—had a set of somewhat justified attitude problems. Justified or not, though, they were still problems. • We have fewer connections. Most of us had far fewer friends than when we were in our thirties. For a variety of reasons, we are much less networked. Adding to the impact of this observation: A good friend of mine retired from the military at about the same time that I walked away from my job. He is close to my age, and, like me, sought a new, lower-stress position, far removed from what he'd been doing for the last 30 years. The day he retired, he had three job offers on the table. Why? Because he and his family are the most social people I have ever met and, thus, he has a very powerful network filled with people who know his value. I can safely predict that he will never be unemployed, so long as he is willing to work. • We lack the blind enthusiasm of youth. Blind enthusiasm is what leads newcomers to jump into what seems a very limited opportunity where they learn and wait until one day, there's an unexpected shift in the corporation and the cell walls crack and a shaft of light appears, leading them to the next level. On our timeline, we can't afford to wait for seismic change so, though we search for lower-level positions, we want them to utilize our advanced skills and experience. This is not a realistic expectation. As well, workers who are nearing the end of their working lives tend to be less enthused with expanding their skill sets. Learning complicated new skills is not as attractive when you know you won't have the time to hone or build on them. Enthusiasm is a very endearing quality which often trumps experience and our general lack of enthusiasm makes us less attractive. • We are slow to commit. This is probably the last job we will ever have. Because we know that we will not be winding our way through the organization toward what interests us most, we wish to get more out of the lower-level positions we apply for. Often our wish list is just not realistic. The most fulfilling jobs are not often at the lower levels. Because we bring a lot of experience and skills to the table and are no longer seeking top-dollar for them, we expect to be treated as a valuable asset from day one. Many of the people in our group felt the need to make it clear to the employer that they really didn't need a job. Such a declaration only adds another car to the train of thought that you are overqualified and likely to leave, and is no way to make an employer feel secure in choosing you. • We have a tendency toward the negative. It can be frustrating to watch people learning what we already know, and it's sometimes difficult to remain motivated knowing that the papers we shuffle today are destined to become tomorrow's trash. One thing that life teaches us is that it is a long haul from the first inspiration to the last spike, and that few things go as planned. Unblemished success is rare, ethereal, and often fleeting. A skeptic will be proven correct the majority of the time and so, as we age, it is easy to fall into a perpetually critical mode which is not conducive to action and progress, and not welcomed in the workplace. • We are seeking more meaning. Most in my group were searching for less money, less stress, but more meaning. They no longer wanted careers but wanted to feel that they were contributing in some tangible way. Exactly what fulfilled this wish was different for each person. For some, this meant they needed to work for a deserving boss; for others, it meant charity work. • We want less work. Failing to find that one perfect, inspirational position, most of us wished to work a three-day week. • We say "no" to overtime. None of us wanted to be pressured into staying past quitting time—there's nothing in it for most of us. We're not looking for extra money or to get ahead in the organization. We just want enough to live semi-retired, without worry. In short, what we were all looking for was for a stranger to offer us a job that we are overqualified for, that comes with no more than a perfect and inspiring amount of pressure, and for which we have talent, skills and energy to spare, allowing us to perform above and beyond, so that we are valued, without having to stay beyond quitting time. Something with mid-level pay and entry-level responsibility would do nicely. Mature workers can be very fussy job-seekers. And that's probably the single largest reason they retire. The positive experience I had renovating a house altered everything. 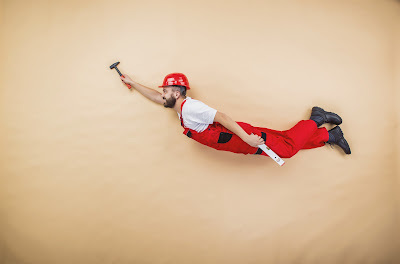 Right now, being in construction in Victoria is a little like being a doctor: If you attend a dinner party and mention that you wield a hammer, suddenly everyone you talk to is asking for renovation advice, or if you can tile their bathroom, or repair their sink, or build a shed in their backyard. My largest problem wasn't a lack of opportunity; it was an inability to commit. Eventually, I just started saying "yes," and I've been as employed as I want to be, ever since. Well William, I'm happy you found something you enjoy doing. 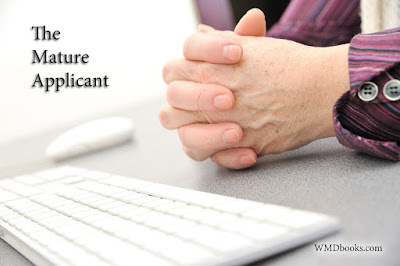 As a retired Employment Counsellor, I could add a few more traits that we have. Your humour about this sad reality is refreshing. "I and my friends were going through the nice, helpful tips from the blog then the sudden came up with an awful suspicion I never expressed respect to the website owner for those secrets.